Our first full season of covering AIL1B hasn’t quite come to an end as there are a series of play off matches still to come but the regular season ended at the weekend. It’s been a roller coaster season for most of the teams involved in this league and going into the final weekend there were still six clubs in the running for a top four finish making it an exciting finale with Twitter and Facebook feeds being checked throughout Ireland. This leaves Ballynahinch RFC promoted as AIL1B Champions and they will be playing in AIL 1A next season. They will replace Shannon who are relegated from AIL 1A. Both matches kick off at 2:30pm on Saturday 27th April. Both matches kick off at 2:30 pm on Saturday 20th April. OK, so that’s the remaining fixtures covered so let’s have a look at who did what in the AIL 1B. The overall stats for the season are. Our stand out individual performances are shown below. AIL 1B Leading Points Scorer in association with Samurai Rugby Gear. 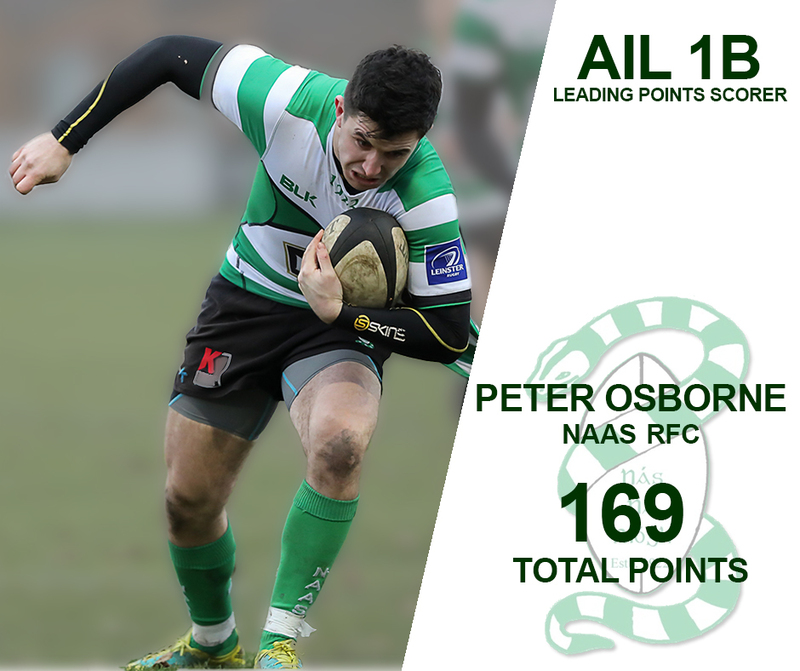 Peter Osborne racked up an incredible 169 points throughout the season, his points coming from 6 tries, 35 conversions and 23 penalties. His biggest haul was in Week 16 where he bagged 22 points in Naas’ away win at Banbridge. AIL 1B Leading Try Scorer in association with Samurai Rugby Gear. 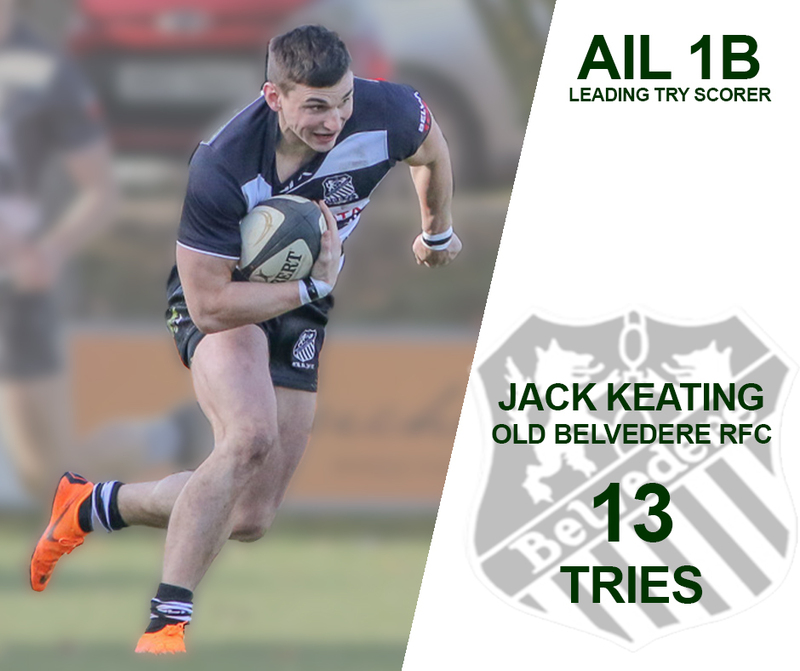 Jack Keating bagged 13 tries throughout the season his 65 points haul also seeing him place in the leading points scorer table above. It was steady work throughout the season for Keating with his only hattrick coming in Week 1 in Belvo’s big win at home against Banbridge. We have a couple of new categories where the players efforts are worthy of note. AIL 1B Highest Conversion Success in association with Samurai Rugby Gear. We’ve been tracking the clubs individual conversion successes throughout the season and Ballymena had the highest conversion success of all teams. 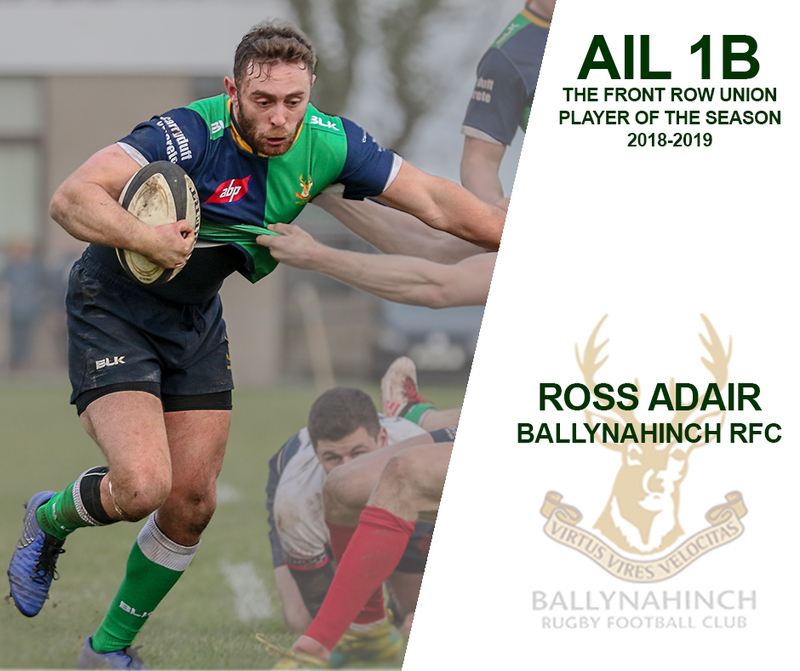 AIL 1B The Front Row Union Player of the Season. Out of the 16 matches we covered this season there were quite a few impressive individual performances. However, Ross Adair’s displays for Ballynahinch brought something else to the team. Not only did he have fine games as an individual but he was a player that his teammates could play off, quite simply, when Adair got the ball you expected something to happen, and it invariably did. His return to club rugby in Ulster was fundamental to Ballynahinch’s six match winning streak that took them to the title, Adair bagging seven tries in the final six rounds. Having celebrated the individuals it’s also worthwhile to celebrate the clubs. Congratulations to St Mary’s College on scoring the most points throughout the season with a total of 438 or just over 23 points per match. Their haul came from 24 different scorers who scored 57 tries with 42 converted. they also notched up 22 penalties and are the only club in the league to score a drop goal, Sean Kearns claiming this singular honour in Round 2. 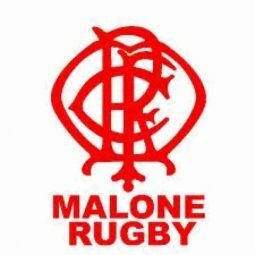 Malone just pip St Mary’s College in this one with the Belfast side’s scores coming from 25 different players. Don’t honestly know if it’s good or bad to have so many different scorers does it point to good strength in depth or an unsettled side? 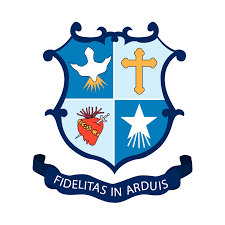 As well as scoring the most points St Mary’s College also score the most tries, their 57 try total six more than League Champions Ballynahinch. They are the only team to have an average of more than three tries per game coming in just under 3.2, Hinch clock in at just over 2.8 and third placed Old Wesley just under 2.8 tries per game. Well done on making it this far, and a serious well done to all the players in all the teams in the AIL 1B, it was an entertaining first season for us in this league. Hopefully we’ve added something useful to the coverage. To finish off we’ve published all the scoring stats we have below, just click on the team to see all their scorers.